This is continuing post of Live Performance Dashboard: Jmeter-Grafana-influxdb only this time with windows(as I have promised). I would suggest, please visit that post to continue. In this example, I am going to setup influxdb & Grafana in windows 8x64 PC in VM. You can use real PC/AWS. And like as before, I will run jmeter in my local PC to test keeping monitoring system isolated. Now, if you run this you will see error messages due to local host address resolver is not working for windows. Github discussion. That's all to resolve the error. 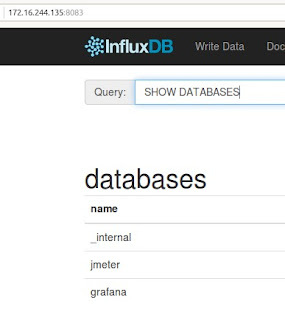 Now, add graphite configuration at our influxdb.conf. Now, if we goto browser and see http://172.16.244.135:8083 , we will be able to see home page. Like as before , create a table 'Jmeter'. And , if we see show database ,we should be able to see DBs. 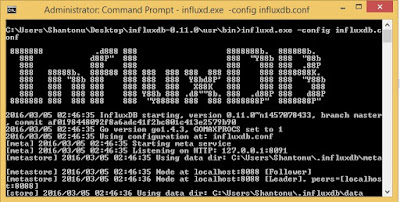 So, our influxDB setup is done. You will see server running. 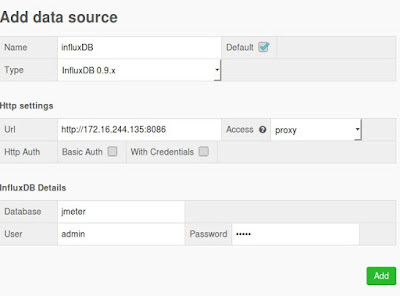 Like as previous post, configure influxDB settings into grafana. So, we are done setup, now lets test it. -> select Jmeter from right upper corner. we will see like this. This means DB is getting Data. So, Like as Ubuntu , we have completed our setup a live Jmeter result monitoring system with Grafana & InfluxDB. Note : As I am installing in my PC, ignore my user name, for your PC , it will be your's. So, don't just copy past my configurations. Hi Shantonu, I have configured as per the instruction. However not getting the desired graphs. when doing the show measurements jmeter.D.a.count details are not coming up. Only jmeter.all.a.count details are there. Also in grafana when trying to add any graphs getting influxDB error. data is null. Could you please update. Thank you very much. 2.You could not configure Grafana dashboard graphs with queries. 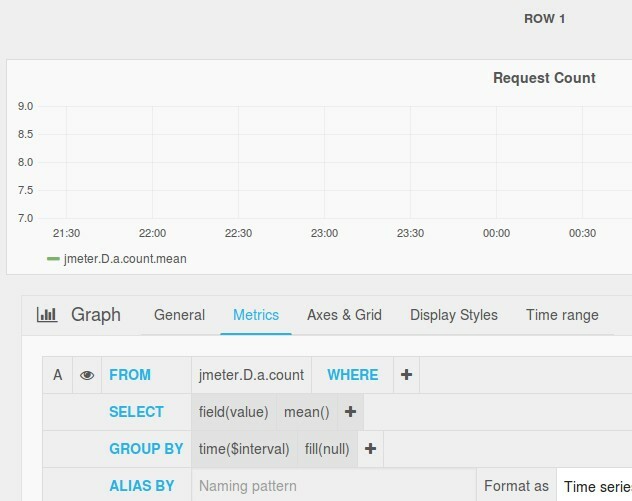 Jmeter by default provide these graphs , see xml configurations(http://jmeter.apache.org/usermanual/realtime-results.html) You should be able to see those if jmeter sends perfectly to influxdb. And, check backend listner configuration spatially. Thank you Shantonu. It was indeed the issue with configuration. If we want to send multiple request, is it like we have to provide the sampler list in backend listener for all the sampler? what is difference between d.count and all.count. d.count is count of single request, all refers to all request listed in samplerLists. Hi Shontonu.. I was trying to install influxdb for 32 bit system but failed to do so..can u suggest on the same. Usually steps & configuration are same. Message me your errors, so that I can reply specifically. Hi Shantonu. I followed the steps. When I running the same influxdb.config file from my PC I could see 3 databases(internal,jmeter and grafana) in show databases for influxdb. But from my office PC I could see only 2 databases(internal, jmeter). Could you please suggest why it is happening? there should be only 2, internal & jmeter (with graphite plugin). I have not declared any DB named grafana. 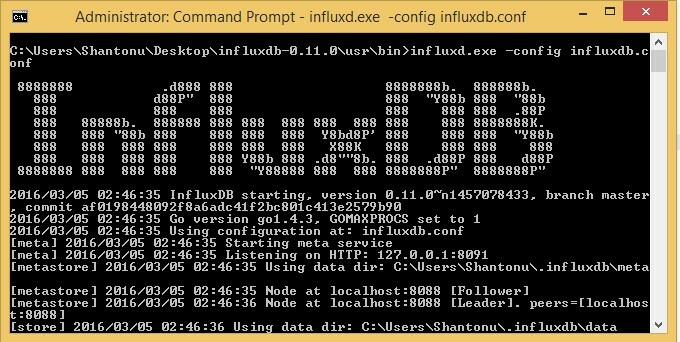 check in log, while making influxdb. send here/mail. these are firewall/connection issues. you need to add port to firewall for sending data. I am trying to implement Grafana real time in windows platform. 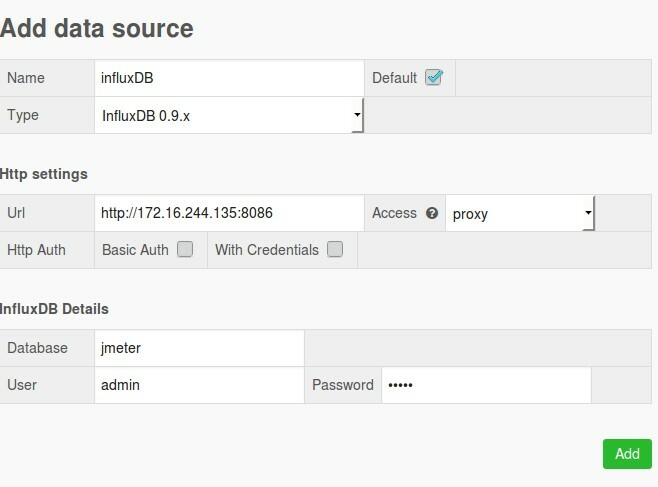 Currently I am able to capture the jmeter run data into Influxdb. I have also configured the Influxdb data source in Grafana and post I am getting message "Success Data source is working", but I am not able to read Influxdb data into Grafana. 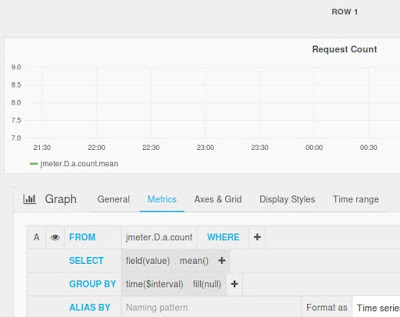 While configuring individual graph, the 'Jmeter' measurements data is not populating in the query section. 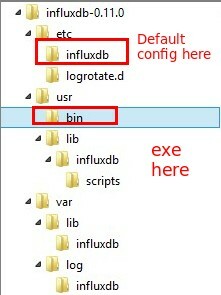 Seems like I am missing some configuration in windows .ini file, Please can someone help me with this. i think you may have missed the grafana config of graphite plugins. mail me for clear details of both configs . influx links changed and link wont be working ..
Generics in java : How read and write Generics?